For winding multiple watches simultaneously, you needn’t look any further than the Barrington 4, 6 or 12 Multiple Watch Winders. Including luxury features that truly set it apart from the crowd, these Watch Winders demonstrates our trademark dedication to the highest quality standards in both engineering and design. As with each of the products in our watch winder box range, you’ll find a variety of settings designed to match the winding needs of most watches. Rotation can be individually set by rotor to clockwise, anti-clockwise or to alternate between the two, and the winder can also be set to 650, 750, 850, 1000 or 1950 turns per day. With near-silent motors, our 4 and 6 Watch Winders boasts an easy-to-read digital display and simple-to-use remote control. 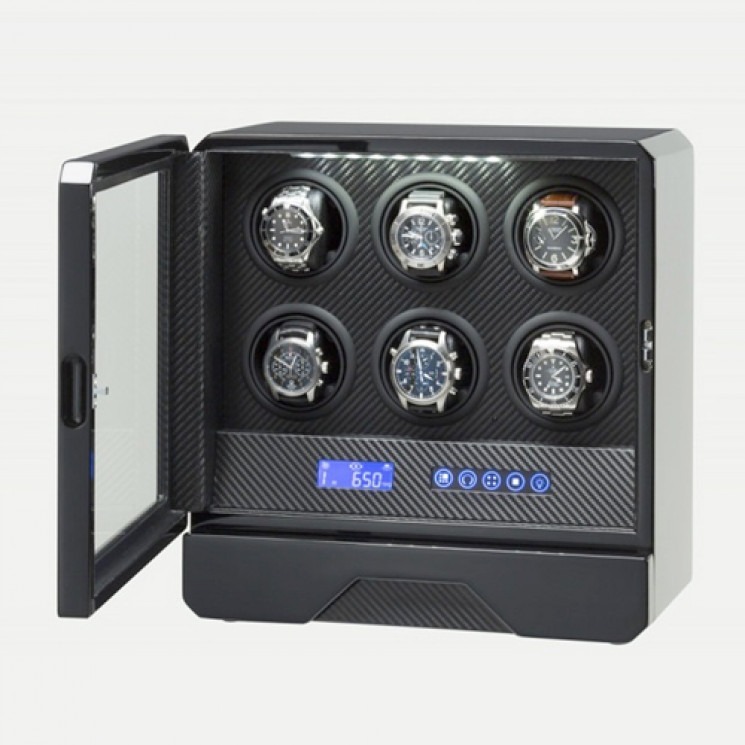 The attractive display case also includes subtle LED lighting illuminating the stunning carbon fibre-effect interior and an inbuilt storage drawer for extra watches. 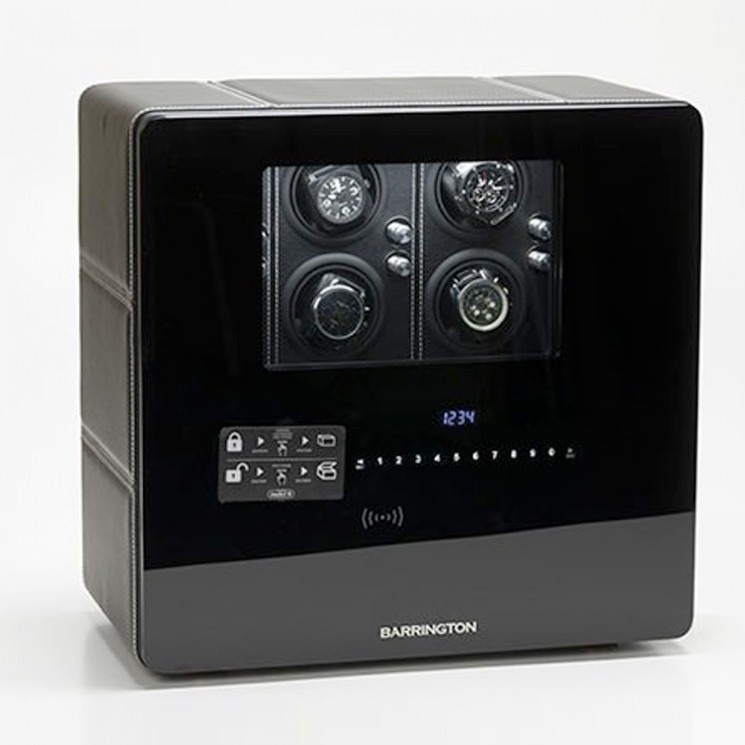 Browse our product range to view our exclusive selection of Barrington winders (including our single winders), each of which captures our commitment to the very best in precision, design and build quality. Orders are usually shipped within 24 hours of receipt, and we only use trustworthy couriers such as Parcelforce, Royal Mail, FedEx and UPS, with all items tracked for your peace of mind.